1904 Ladies met at the home of Hattie Bird on the hill on Allegan Street to form a Reading Club that became the Woman's Club. 1910 The group outgrew meeting in homes. So the ladies rented the hall upstairs over Koning's Hardware. 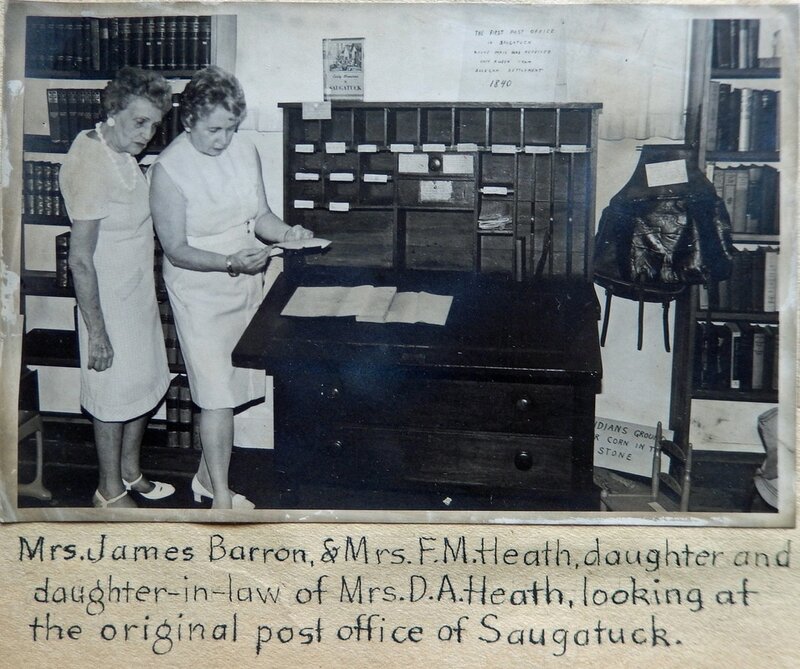 1914 The Saugatuck Woman's Club building fund was started with $25 from proceeds of a play given by Mrs. Jay Myers. 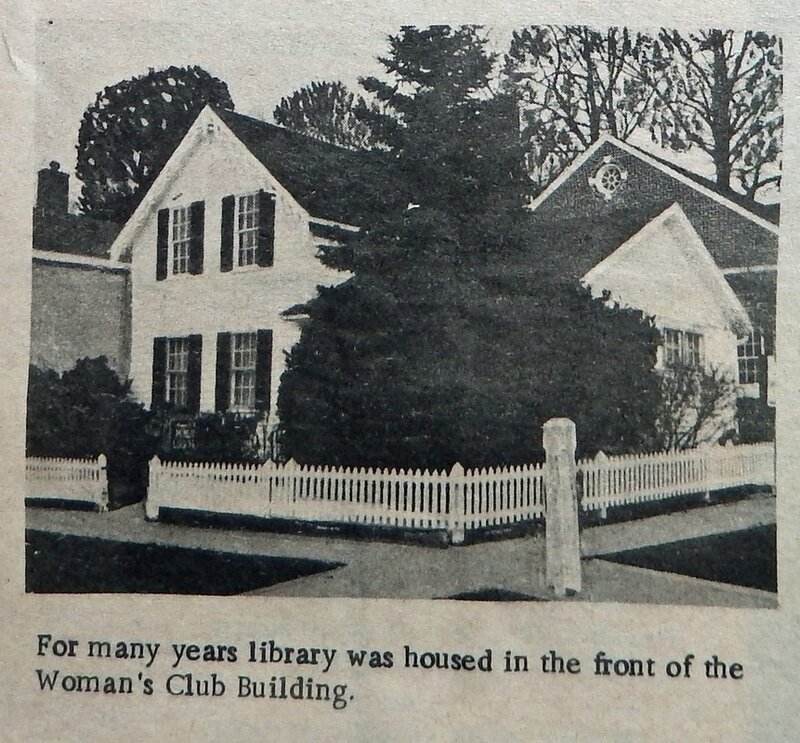 1915 The Woman's Club became the largest club in Allegan County. It was the chief social and literary function in town. 1934 Miss Minnie Breuckman bequeathed her home to the Woman's Club. The club's library was moved into the donated house. The first official meeting of the Club year was in the new location (Breuckman's House) on Oct. 5, 1934. Minnie also gave the lot behind the house to allow the club to build the auditorium after the Woman's Club incorporated as a non-profit corporation in 1934. 1935 On September 9 there were 64 members who signed an "official authority to proceed" to build the auditorium at once according to the plans drawn by architect, Mr. Tallmadge. On September 25 at 4:30 p.m. the ladies had a very simple ceremony to start the building. The women planned to have a grander ceremony once the building was built and paid off. 1936 The Club authorized the Board to proceed with the building of the auditorium by borrowing funds. 1938 The new auditorium was dedicated. 1969 The library outgrew it's space in the Breuckman House and moved into a store front across Butler Street. Later it outgrew that space and moved into it's present location in Douglas. 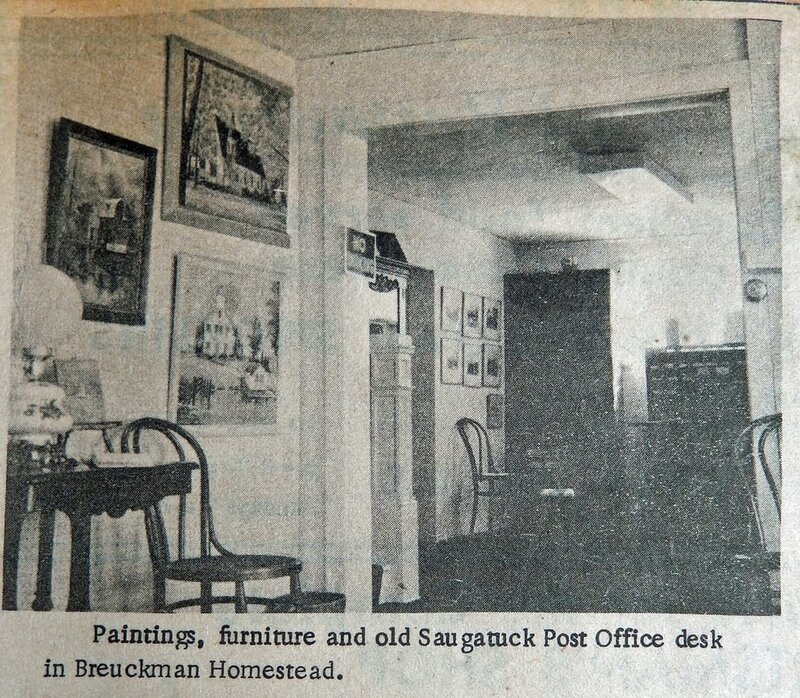 1970 The Breuckman's House was used as a historical museum of an earlier Saugatuck. People donated books, historical objects, and art exhibits. 1980 The club was on the edge of bankruptcy. There was much discussion about the lack of funds. It was decided to rent the Breuckman House for a store and to rent the auditorium. 1988 The Chamber Music Festival of Saugatuck held its first July and August festival in the Saugatuck Woman's Club auditorium. 2018 is now the 30th year of Chamber Music concerts at the Woman's Club. Febrary, 2017 information compiled from Club minutes by Donna St. Andre.